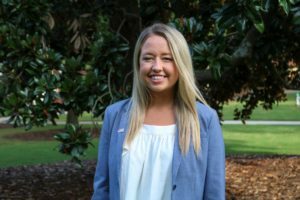 Josie is a senior at the University of Georgia double majoring in Political Science and International Affairs with a minor in Spanish. Throughout the course of her undergraduate career, Josie has been heavily involved on campus. She participated in the prestigious UGA Washington Semester Program as a member and Research Assistant. While in DC, she interned on Capitol Hill for Congressman Jamie Raskin and then interned at a PR firm called The Walker Marchant Group the following summer. In addition, she studied abroad in Valencia, Spain, and volunteered for Project FIAT in which she went on two service trips to El Salvador.